Our tour guide was telling us about the story of the Cagsawa Ruins and Lignon Hill. 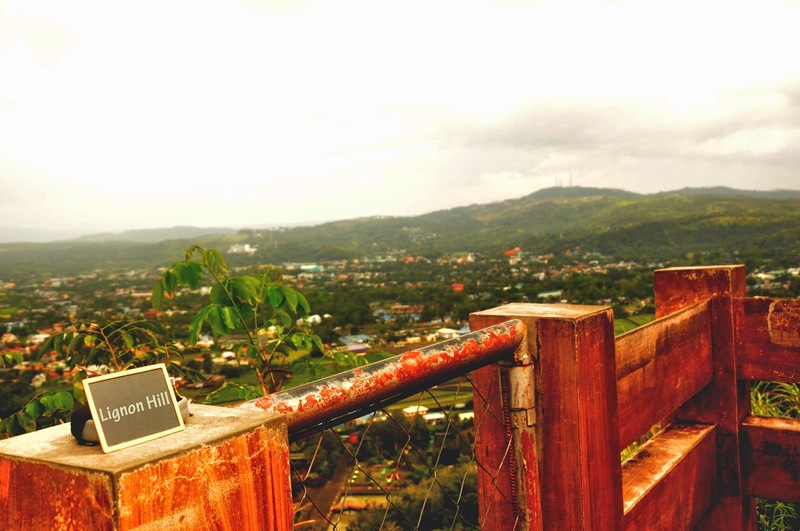 Lignon hill means to look back. He told us that Lignon hill stands inbetween the town proper of Legaspi and while you gaze at the beauty of the town from atop the hill, remember to look back and be prepared to be mesmerized by the allure of the volcano. He was telling us that the eruption itself was so beautiful that people will fly into Legaspi during the period of eruption to catch a glimpse of this heavenly splendor. However, this brilliance comes with a price. During the 1814 eruption of Mt Mayon, the entire village of Cagsawa was consumed in the mudslide caused by the eruption, leaving behind only the Bell Tower of the Cagsawa Chuch today in the Cagsawa ruins. It was told that the mud (as the locals suggest) accumulated to a depth more than 3m. You can still see a house along the entrance to suggest the depth of the mud when the tragedy happened. I was told that the Government has specifically left the house as part of the heritage trail to let the future generation understand the devastation of the past eruption. Till date, Mt Mayon has erupted for no less than 50 times since the last tragedy and luckily none has caused an equal scale of damage to this lovely place, although one recent eruption in 2006 nearly took away what remained of the Cagsawa ruins. As the original Church was destroyed, the Daraga Church was built as a replica. Daraga also meant Single Woman. This being that the new church was built by most single ladies in the town. They also used rocks from the eruptions and what was nearby instead of our conventional concrete and brick. It was a sad part of their history and I understood more than just architectures as our guide explained the history to us, how the history is interlinked with one another and the significance of these seemingly meaningless structures.